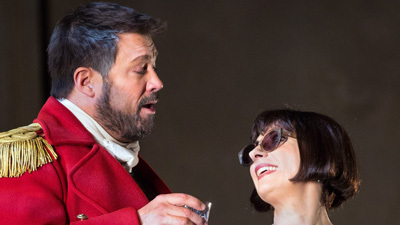 Handel’s opera had never been done at the Met until this all-star cast thrilled audiences. Renée Fleming gives one of her most moving performances as the virtuous Queen Rodelinda, grieving for her husband Bertarido (David Daniels), and scornful of the man who has stolen his kingdom, Grimoaldo (Kobie van Rensburg). But if Rodelinda does not marry the usurper Grimoaldo, he will kill her son. Fortunately Bertarido returns in time to avert catastrophe and claim both his family and his kingdom. 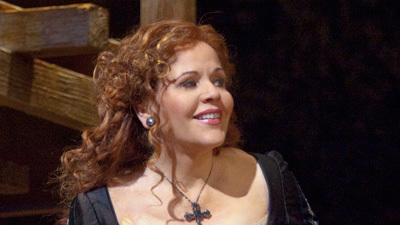 Stephanie Blythe stops the show as Bertarido’s sister, Eduige.